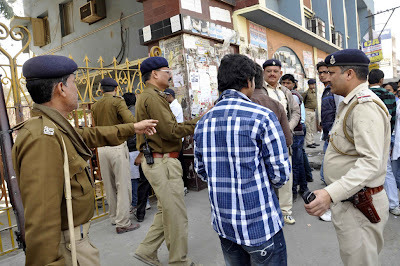 Police swung into action when some students tried to create trouble at the College of Commerce during Magadh University Students Union (MUSU) election in Patna on February 14, 2013. 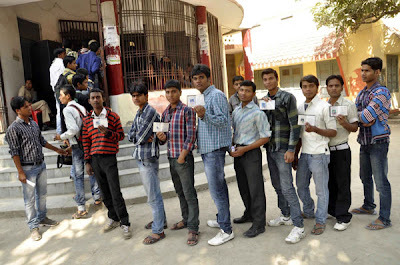 Students cast their votes to elect college representatives for the MUSU. The polling percentage was relatively low but the election passes off peacefully.